Cell phones have become an ultimate necessity these days. People talking on their cell phones or texting is a very ordinary site now. To imagine a day without a cell phone would be almost like depriving yourself of a basic necessity. With technology reaching zooming heights already, cell phones today offer you to even connect to Internet and check your email, status in social networking sites and what not. It’s a small, handy device that gives you all this and is so mobile that you can carry them anywhere. However, a cell phone case is a good option to ensure the safety of your cell phone. 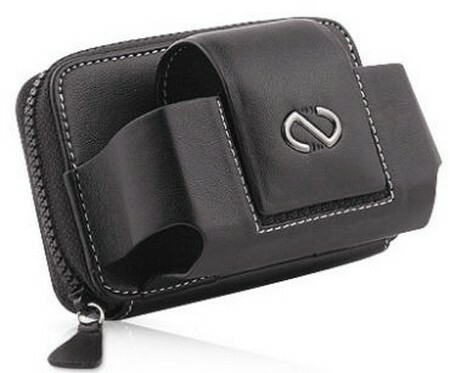 Cell phone cases can be very easily bought as an accessory. These are also available in many different fabrics, colors, etc. But some spare fabric or leather lying at your home is enough for you to make a cell phone case of your own with any pattern desired by you. Measure the size of your phone: Measure the dimensions of your phone, its length, width as well as height. Take these down in any notebook. Now, measure the same corresponding dimensions on the piece of fabric to be used for the pattern. Measurement on the fabric: Take a pencil or a fabric chalk, and mark two different strips on the fabric, such that you give a provision of 1 inch for the width. This space will be for the width of the phone as well as for the sewing of the seams. If your phone has a thicker size than most phones, please mark an area of more than 1 inch. Leave a space of one and a half inches for the phone’s depth. This will include the area where the bottom seams will be sewed as well as the area for the drawstring. Cutting of the fabric: after the markings of the measurement have been made, cut the two strips along their measurements. The two strips will provide a basic framework for the cell phone case. Sewing of the fabric pieces: Place the two pieces of fabric together in a way that the outer covers face each other. In other words, the case has to be sewn from inside out. Next, sew the two pieces together only on three of its edges, its two sides and bottom. Turning of the pouch: Turn the case inside out so that the outer covers are on the outer visible sides. If the phone fits perfectly and snugly, you have the right thing. However, if the fitting is slightly loose, adjust the stitches of the case a little till the phone gets a snug fit. Sewing on of the drawstring: Once again, turn the pouch outside in, such that the outer covers are together and facing each other. Sew a string at the opening of the case to create a drawstring. Turn the case back inside out so that its correct side is out. This step finally completes your phone case. Try the same method with other fabrics like leatherette or neoprene if you wish to. In case of leather, the case cannot be turned again and again. Therefore, the sewing has to be done with the right side out. In case of neoprene, it will be difficult to sew the drawstring. A flap can be sewed on instead and Velcro can be provided for on the flap and the case.